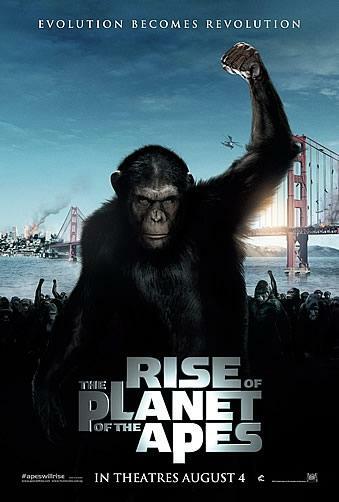 The Rise of the Planet of the Apes? I have mixed feelings about it. I really liked the original movies. The movie looks great and I love the video of the real chimp. He just needs a little target practice. I am going to just let you live in this world, TS. I remember enjoying the original movie. I might have to check this one out. I'm excited too. If it disappoints, I will riot, or shake a fist at something. Planet of the Apes is something I could never get into. Still can't. Maybe it's because I am surrounded by people who act like apes. The planets of apes is dying and as for the movie...didn't even see any of the remakes or sequels...one was enough to send me seeking refuge in my stash of chocolates. will be back to read all the other gems i have missed. These movies freak me out. I just can't handle highly intelligent apes. Seriously. I don't know why it gives me such the heebie jeebies but it does.